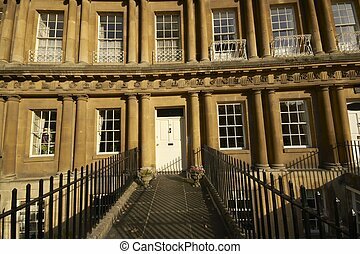 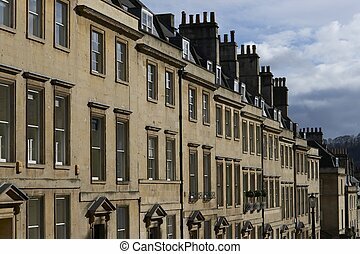 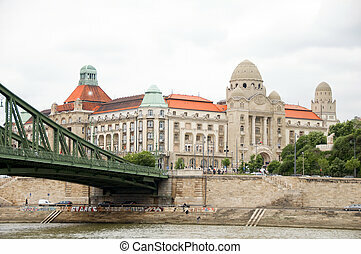 Historic bath. 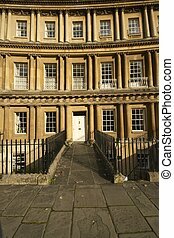 The heart of the ancient city of bath, with historic pulteney bridge designed by the famous english architect robert adam. 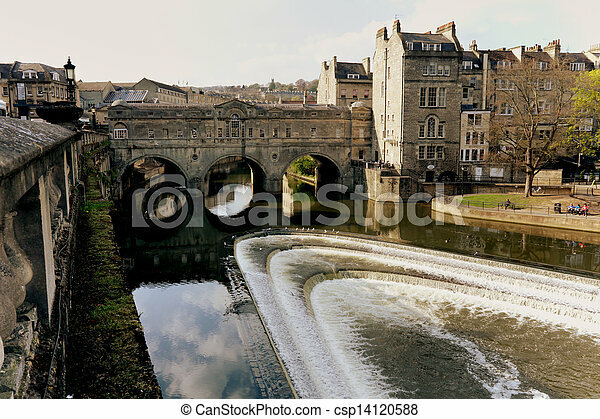 The heart of the ancient city of Bath, with historic Pulteney Bridge designed by the famous English architect Robert Adam. 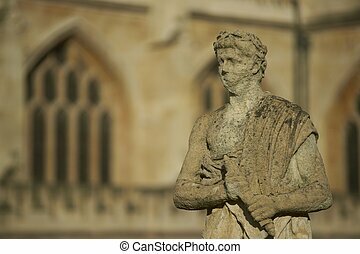 Old weathered stone statue above the ancient Roman Baths in Bath, Somerset, England. 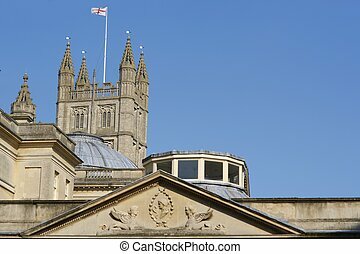 Bath Abbey in the background. 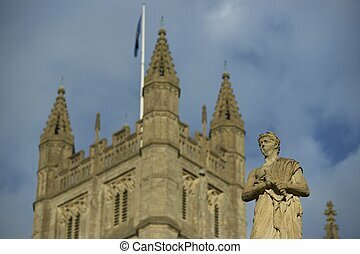 Tower of Bath Abbey standing tall above a weathered stone statue of the ancient Roman Baths in Bath, Somerset, England. 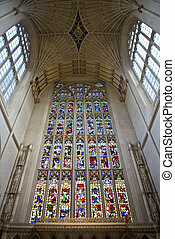 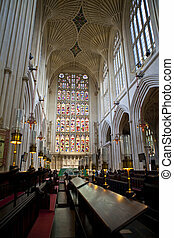 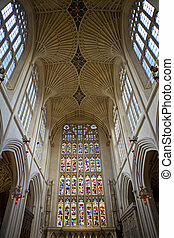 Interior of the historic Bath Abbey. 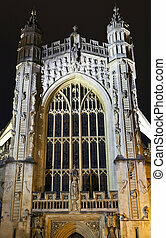 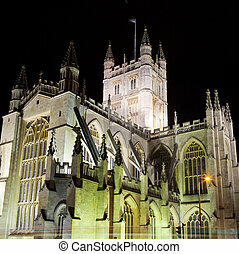 The historic Bath Abbey at night.